Here a simple figure makes a charming design. 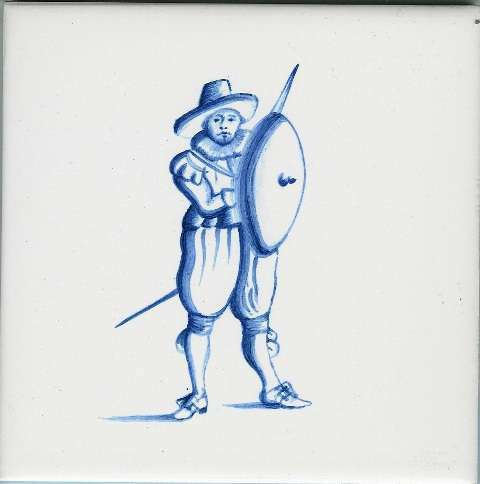 All these tiles can also be produced with decorative corner motifs. Available in hand painted and digitally printed versions.